Tile adds beauty and uniqueness to your home. In most cases, tile and grout are dirt resistant. 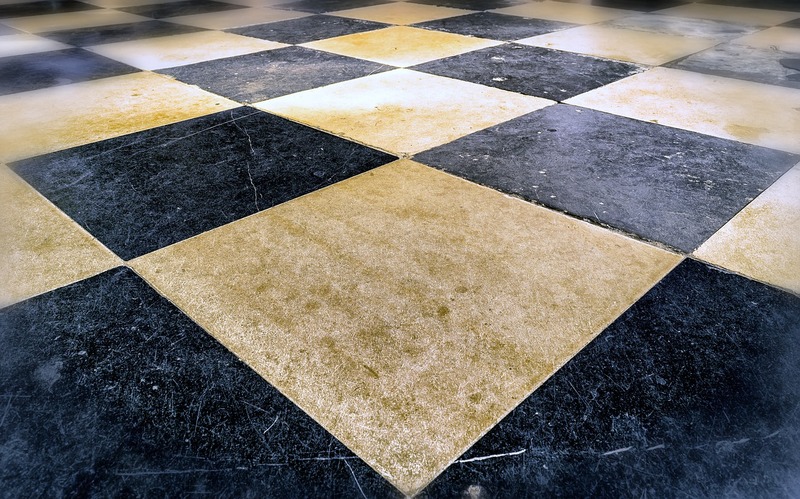 However dirt resistant your tile and grout may be, it is a wise decision to have a tile cleaning regularly. Scheduling a regular tile and grout cleaning can help brighten your tile. Making your tile and grout bright is not the only reason you should have a tile and grout cleaning. There are other benefits. Fresh tile comes with a glaze overlay that helps to keep your tile gleaming while also preventing scratches. Over time, however, particles from dirt, grease, and dust can break down this glaze, allowing the buildup of dirt, dust, and grease just below the surface. The more buildup that accumulates, the more the lifespan your tile diminishes. With a regular tile and grout cleaning, you can get rid of the damaging substances before they penetrate the glaze. Since a regular cleaning prevents the buildup of these particles, you can extend the lifespan of your tile. Having mold is never something you want to handle. One of mold’s favorite places to grow is in tile grout. Mold does not only make your house appear dirty, but it also causes health issues. If you have mold in your home, you may experience an increase in asthma, coughing, or sneezing. A regular tile and grout cleaning rids your grout of mold. Tile and grout add value to your home. Over the year, however, the value decreases if the tile and grout are not well maintained. A thorough tile and grout cleaning will help your floors maintain their value throughout the life of your home. Replacing tile is not cheap. Doing preventative maintenance and cleanings is the cheaper way to go. A tile and grout cleaning preserves the sealant on the tile. If the sealant starts to break down, scratches, chips, and dirt will start to break down your tile. Eventually, your tile will look so run down that you will have to replace it. While sweeping and mopping your tile and grout keeps your home clean, a professional tile and grout cleaning gets you a deeper clean. Professionals use specialized tools to penetrate the surface of your tile and grout. Since professional’s tools penetrate beneath the surface, they provide your floor with a deeper cleaning. In turn, your tile and grout are left looking like new. If you are ready to have your tile shine like it once did, then it is time to call the professionals. At Kelley Klean, our professionals use the best products and tools to ensure the best tile and grout cleaning. We make sure that you, the customer, are satisfied with your tile before leaving. Let our professionals restore the beauty to your home with a tile and grout cleaning today. For more information about Kelley Klean contact us at 573-250-409 or check out our website. Extend your tile’s lifespan today!